100% cloud-managed with advanced security and performance. User-owned devices have exploded onto networks everywhere, with new iPads, Androids, and smartphones connecting every day. It's imperative to keep network access secure and apply device-specific policies without opening security holes or causing an undue support burden. Cisco Meraki's built-in support for BYOD makes it easier than ever to securely support user-owned iPads, tablets, smartphones, and laptops – without extra appliances, licenses, or complex VLAN configurations. The number of devices connecting to networks shows no sign of slowing down, and applications are consuming ever-increasing amounts of bandwidth. Administrators must deploy wireless networking that meets mission-critical standards and can deliver the performance needed to provide high-quality, reliable wireless services. Using wider channel bandwidths, more efficient transmission technologies, and less crowded channels at 5 GHz help the MR34 achieve speeds up to 1.75 Gbps, while also providing administrators complete visibility and control. CMX (Connected Mobile Experiences) displays real-time location statistics to improve customer engagement and loyalty across sites, and is built-in to Cisco Meraki APs with no additional cost or complexity. Data collected by APs is synced with the Cisco Meraki cloud and automatically reported in the dashboard, revealing visitor traffic trends, dwell time, and new vs. repeat visitor loyalty. 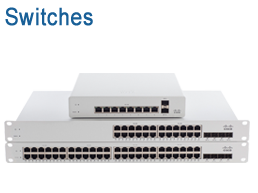 Cisco Meraki Systems Manager provides over-the-air centralized management, diagnostics, and monitoring for the mobile devices managed by your organization — from iPads and Androids to Macs and PCs. Systems Manager monitors each of your organization's devices, showing useful metrics such as client hardware/software information and recent location, and even lets administrators remotely lock and erase devices. In this video Andrew Breakspear (IT Officer at St Edmund Hall, a college of the University of Oxford) talks about the college's Meraki deployment. In this video Owain Williams, Network Manager at Hurst Community College, talks about the successful deployment of a Meraki WLAN solution and it's impact on the staff and students at the college. 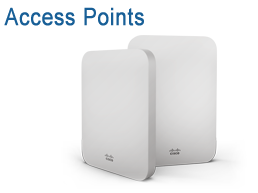 The Oxford Fertility Unit (OFU) have deployed Cisco Meraki cloud managed WiFi and switches to provide connectivity for staff and guests. 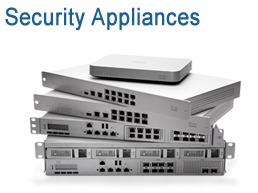 Our specialists are expert in designing wireless networking solutions and can help you create a plan for sourcing and deploying your Meraki wireless solution. Optrics offers personalized Meraki training - a service designed to help you integrate your Meraki solution smoothly into your network infrastructure.